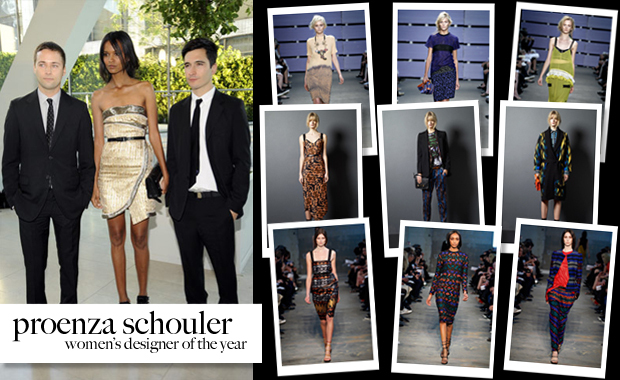 I am so excited that Proenza Schouler won the Women’s Designer of the Year CFDA Award this year. Aside from the fact that the brand is a personal favorite, I truly believe Jack and Lazaro deserved it! What were you doing when you heard about your award? “We were actually on a plane heading back home when they were announced. As soon as we landed, our phones starting going off with everyone calling to congratulate us. It was definitely a nice way to come home. What career did you want when you were 16? If you weren’t a designer, what would you be? Who is your fashion idol? Whose work do you admire?